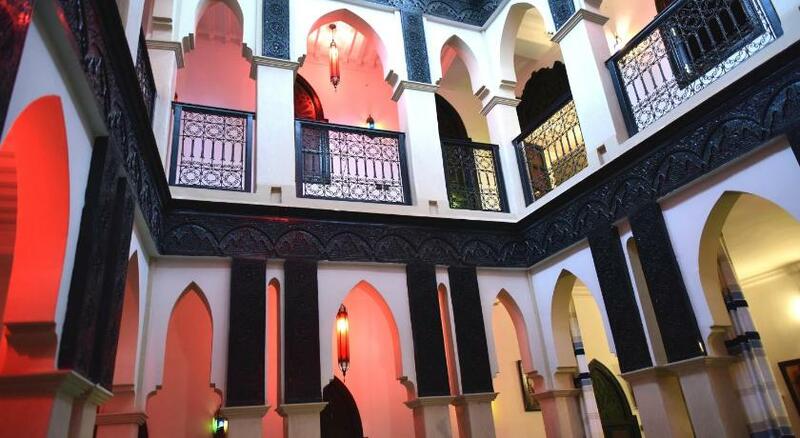 Offering a restaurant, Ryad Laârouss is located in Marrakech. Free WiFi access is available.Each room here will provide you with a TV, air conditioning and a balcony. Private bathroom also comes with a shower. You can enjoy pool view from the room. Extras include a patio, a terrace and a minibar.At Ryad Laârouss you will find a terrace. Other facilities offered at the property include a shared lounge and a tour desk. The bed and breakfast is 1 km from Djemaa El Fna and from Marrakech Medina. Marrakech-Menara Airport is 5 km away.